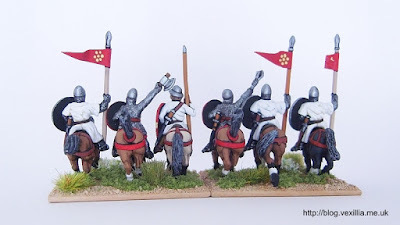 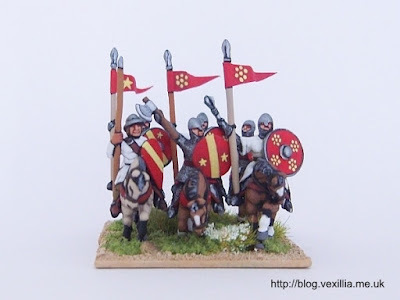 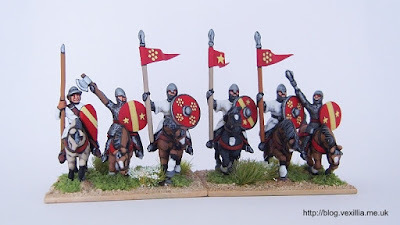 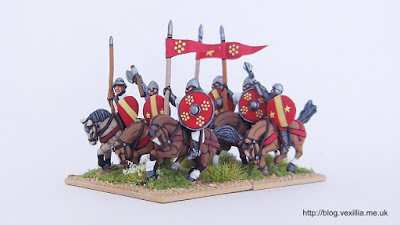 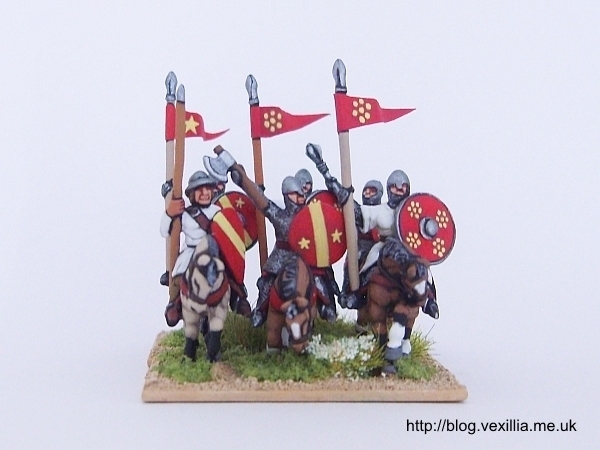 Until now I've been using some of my Armenian knights as proxies but they have quite specifc flags, pennants and shield designs. 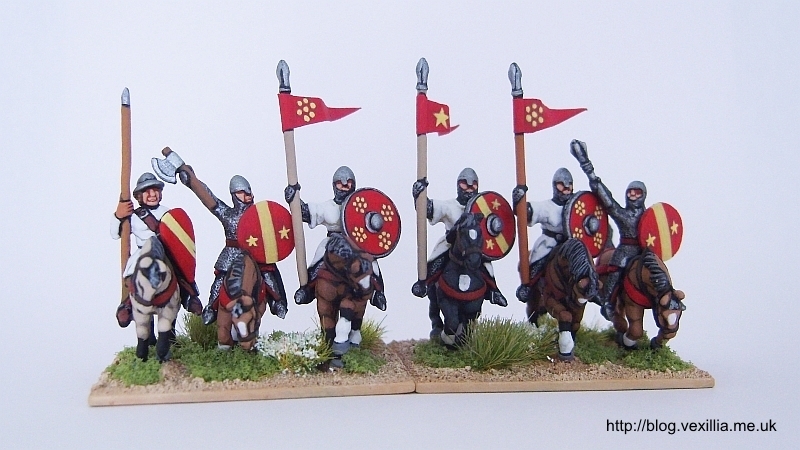 I really wanted some with more generic designs that I could easily distinguish on the table. 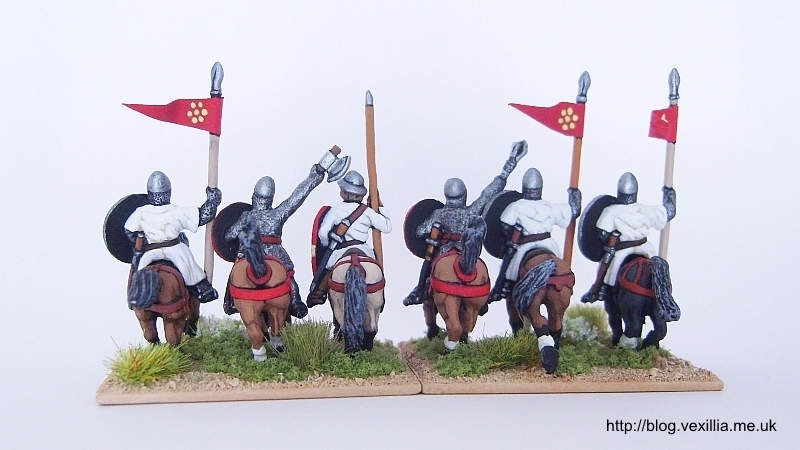 The figures are Essex and from my "scrap" box of left over castings.